Bouygues Immobilier Polska Sp. z o.o. has chosen BatiPlus Polska Sp. z o.o. 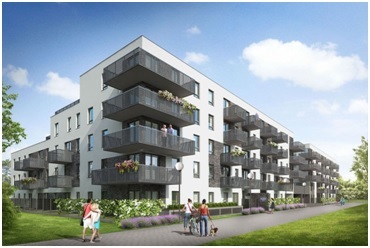 to be the Investor’s representative and to supervise the construction of Belleville residential building in Wrocław. Our team shall represent the interests of the Investor related to the execution of the investment. A 5-storey residential building housing over 130 apartments with the areas between 26 m2 and 95 m2, amounting to nearly 7 thousand m2, shall be constructed on the half-hectare lot at Piękna Street in Wrocław. Moreover, 160 (underground and surface) parking spaces shall be built. The investment also includes the development of the surrounding area – construction of footpaths, arrangement of the entrances to the staircases and creation of green areas. More information about the investment may be found on the webpage of Bouygues Immobilier Polska.